Hadoop and RDBMS are used to store the data but have different methods for this process(Storing and Processing). In this article, We are going to discuss the Main Differences Between Hadoop and Relational Database based on below criteria. 1 Definition Hadoop is an open source and Java-based framework that used to storing and processing a large amount of data. RDBMS is the database used to stores the data and that data are stored in the form of tables and used SQL language for accessing the data. 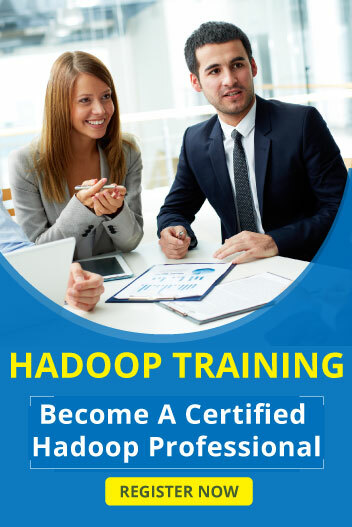 2 Architecture Hadoop is distributed framework and having two components: HDFS and MapReduce. RDBMS having ACID properties(A-Atomicity C-Consistency I-Isolation D-Durability). 3 Data Acceptance Hadoop supports any type of data like structured, Unstructured and Semi-Structured data. RDBMS supports Structured data only. 4 Scalability Hadoop provides the horizontal scalability, So we can easily add a node to cluster based on user requirements for increased data. RDBMS provides vertical scalability so data increases are hard in RDBMS. 5 Data Processing Hadoop supports OLAP(Large Scale Batch Processing Workloads) for data processing. RDBMS supports OLTP(Real Time Data Processing)methods for data processing. 6 Processing Hadoop allows to processing data which stored distributed across clusters. RDBMS having no unlimited processing capabilities. 7 Cost Hadoop is an open source software so don’t need pay for software. RDBMS is a software so we have to pay for this software. 8 Language Support Hadoop accepts the many programming languages for accessing data. It used SQL Language for accessing the data. 9 Schema on Reading and Write Hadoop Follows Read on the schema. RDBMS follows Write on Schema where once schema validation is done before loading data. 10 Read and Write Speed In Hadoop Write are fast because Hadoop doesn’t need schema validation. In RDBMS Read are fast because it needs schema validation.